input controls, sparklines, and native Excel input/output..
You can now extend the visualization capabilities of QlikView by simply using an Excel look and feel interface. A specially designed wizard helps users create calculations that bridges QlikView spreadsheet data, creating a unique consistency for their interface. So flexible, so friendly, that the user can define how applybi will fit into the QlikView workflow. The user has full control, by choosing when applybi will be incorporated and how. The Ultimate Qlik Grid is The Qlik Spreadsheet! Time is money and we are here to save you some! Qlik Data Entry, modification of calculations and QlikView scenarios change on the fly with just the minimum effort. Interactive use helps you see the implications of your analysis in real time. No need to go back. Just make your changes right there, right then. The power of Qlik meets the limitless possibilities of the spreadsheet and users discover a whole new world of QlikView Data Entry and QlikView Reporting! Applybi is your ideal tool for leveraging existing Excel implementations and extending automated actions from and to the entire QlikView ecosystem. Applybi is fully integrated with QlikView, providing you the perfect interaction and offering the easiest, most sufficient way to see and analyze your data. Applybi enables you to design QlikView reports with fixed layouts that combine the unique features of QlikView with the functionality of Excel. The user-friendly tools give you the freedom to create multiple format QlikView reports with your Qlik data. Start designing your statements, budget sheets, stock analysis and all your business reports with applybi directly from your Qlik! With applybi you don't need to extract your QlikView data to a new interface of an external spreadsheet! Data validation rules and data adjustments are available within the program. Multiscreening is the new thing and applybi is just right for all your devices, wherever you are. Applybi allows you to use the QlikView environment as a Qlik data entry point but you can also access, report and manage your data anytime, anywhere! Decision making in a split of a second! Time is money and decisions need to be made fast! 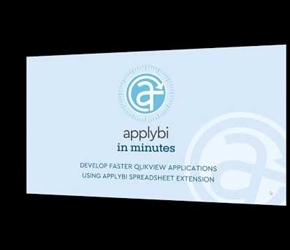 With applybi you can create and incorporate spreadsheets into your QlikView interface in seconds! And all that without changing your work environment! Makes you an expert in no time! With applybi you have no need for Code Training. Inspired by the Excel formula and functions as well as it’s design interface, applybi welcomes you to a familiar working environment, so you can figure out everything in no time! You can now build your own QlikView reports based on your business needs. Applybi offers you the flexibility and creativity needed to avoid mundane scripting tasks while combining the benefits of Excel spreadsheets and all the advantages of the QlikView platform. CRUD operations are now simpler than ever! With applybi, Qlik visualization and Qlik data entry go hand in hand. Applybi is not just a Qlik spreadsheet or just a Qlik grid or just another Qlik input form. It’s all of them combined into one solution! 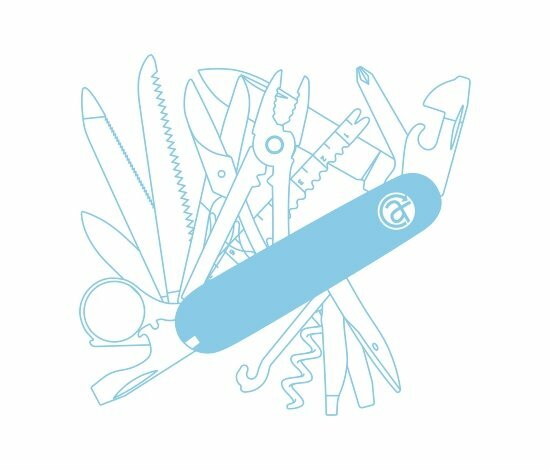 And above all, it’s the magic wand that transforms QlikView into its true potential, making it a platform that manages to integrate everything in one single Bi Application. Αpplybi allows QlikView users to edit input forms & layout just like Excel; no need to learn how to design the appearance of the form. Quickly and easily create into QlikView grid layouts, input data with sorting, filtering, and other applybi functions. 300+ built-in formulas for manipulating the contents of cells, combining the power of the Qlik formulas with applybi. It’s here and nothing will ever be the same again!. Change your workflow, change your work! 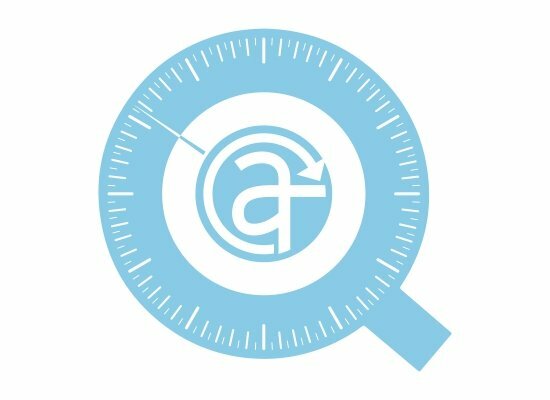 Time to welcome applybi, the ideal extension for Qlik users. What makes it so unique? The combination of design and practicality. Applybi keeps the user experience inspired design of QlikView data visualization while adding the practicality, simplicity and variety of functions used in spreadsheets. That way you can still work on a familiar environment, like Qlikview while all the benefits of a spreadsheet are still at your fingertips. All your needs are met easier than ever. Applybi generates real time reports tailor-made to meet any Qlik reporting or analytical requirement. But the benefits don’t end here. You can also add your own data in Qlik Apps and visualize them on Qlik objects. Taking interaction to a whole new level, applybi interacts fully with QlikView while any selection affecting Qlik objects can be applied to applybi Spreadsheets. If you are looking for a truly effective approach for your daily business, you just found it. Applybi will make life easier for you, your IT’s and your business profits! If you would like to learn more about us or have any questions, please fill out the contact form and one of our representatives will contact you as soon as possible.